Well I am back at Crafty Creations this week to host our latest challenge. 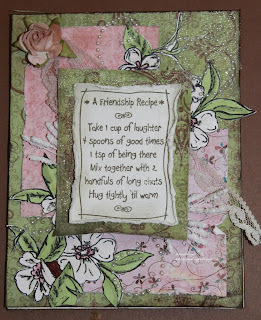 This week is Shabby Chic sponsored by Lily of the Valley Stamps! Make sure to check out Crafty Creations to enter for a chance to win and view all the DT works! I added lots of close up photos so you can try to see the crackle effect on the green. 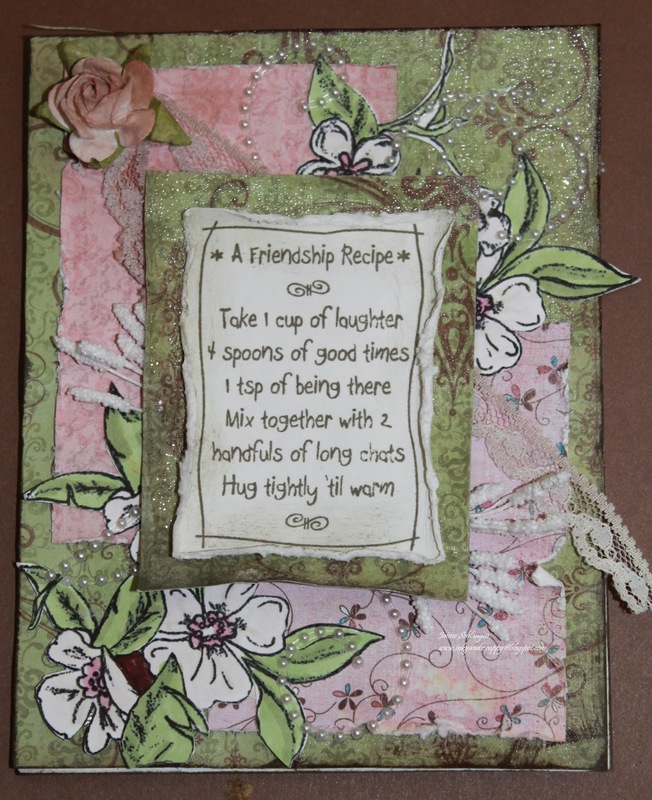 The flowers are a Creative Need digistamp and the recipe for friendship is from LOTV. I added pearls, lace from my Grandma (tea stained), a rose (tea stained, flower parts and lots of distressed and crackle painted papers. What a brilliant sentiment and love all the layers you have added to your card. Very pretty. Great choice in colors.